Enjoy all glorious benefits of owning the Starbucks Card. The Starbucks Card is already loaded with RM50 value for purchase of anything from your favourite Starbucks beverages to the latest merchandise at any Starbucks store in Malaysia. Separately comes with ONE (1) Complimentary ANY Tall Size Beverage Voucher and SIX (6) Starbucks VIA® Ready Brew sachets, on top of all the glorious benefits that the Card offers. Use this card at any Starbucks Outlet Nationwide! Delivery to your doorstep included! 1 complimentary Grande size handcrafted beverage of choice upon REGISTRATION. 1 complimentary slice of cake with the purchase of any handcrafted beverage during your birthday month. 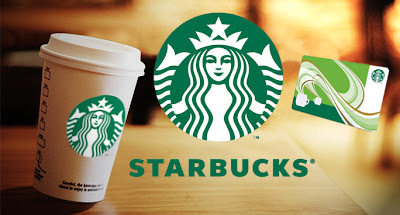 Visit [34% OFF] Starbucks Card preloaded with RM50 value + 1 Complimentary ANY Tall Size Beverage Voucher + 6 Starbucks VIA® Ready Brew sachets (worth RM80) now! Visit 1000vouchers.com for more great deals!